Health insurance is one of the most pressing concerns for people in America, today. With costs skyrocketing it can be really hard to pay hospital bills. In California, there is help available with Medi-Cal. There are many services you can take advantage of through Medi-Cal if you qualify. You should never have to worry about how to call for an ambulance in a medical emergency. If you qualify for Medi-Cal, you likely qualify for California LifeLine service through Budget Mobile. To sign up for California LifeLine service, just visit our website and enter your zip code. We’ll need some information from you to make sure you qualify, but if you do a free phone, one-thousand free minutes and unlimited texting are yours every month. 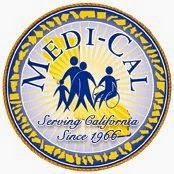 To learn more about Medi-Cal, visit this website. To sign up for, or learn more about Budget Mobile, visit our website. Have questions? Connect with us on Facebook and Twitter.